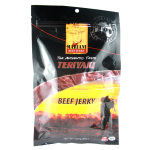 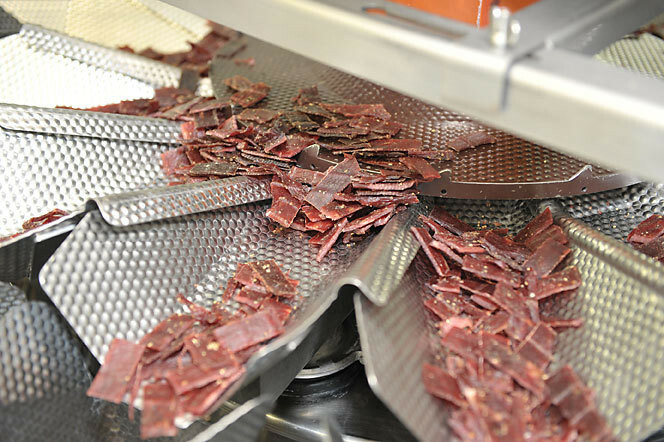 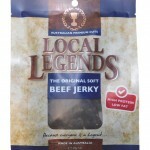 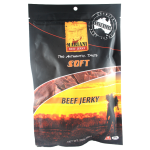 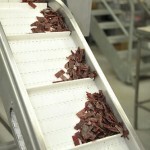 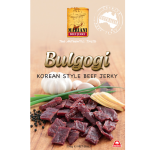 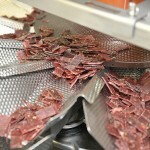 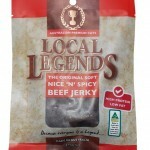 Our jerky is made from selected free roaming grass fed beef specifically suited to the Mariani product and process. 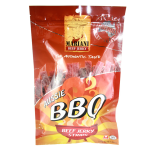 We use only the finest cuts of premium Australian export quality beef, hand cut to ensure the right thickness and further enhancing the authentic meaty flavour. 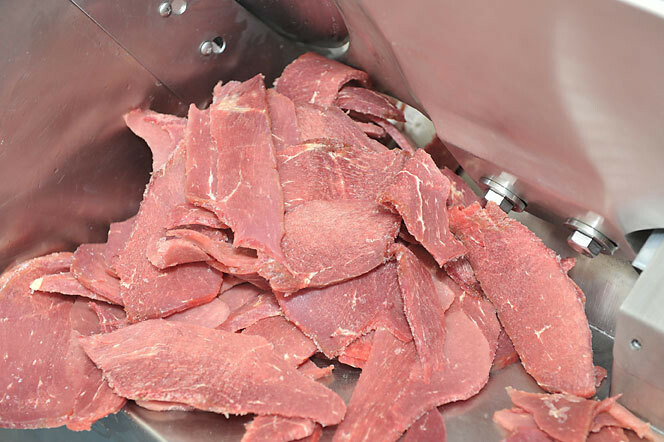 Our beef is then marinated in carefully prepared spices to provide a variety of flavours. 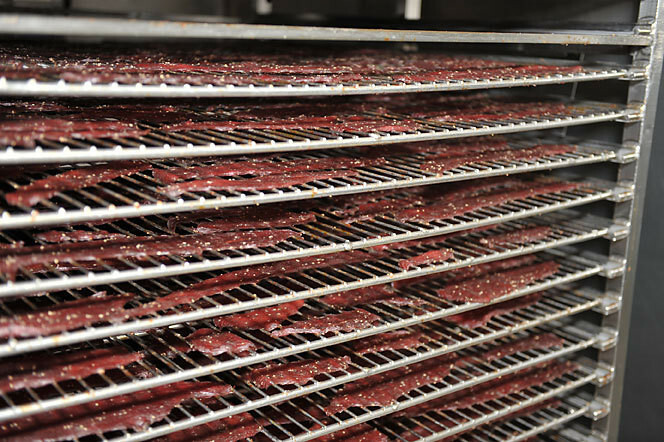 After the beef has been marinated, it is hand placed on racks and put into ovens and dried slowly, always ensuring a quality product with the right flavour and texture. 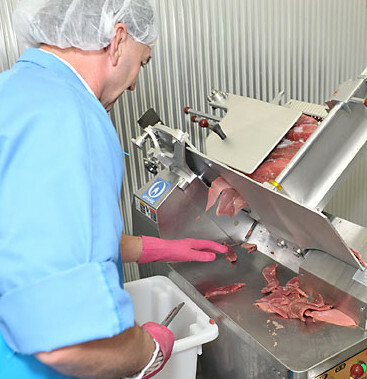 Mariani’s modern food processing facility is maintained to the highest standards and located in Casino, New South Wales, the beef capital of NSW. 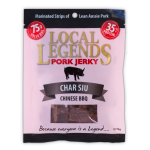 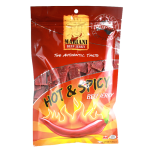 While we’re not about to tell you our secret beef jerky recipes, you’ll know when you’re having Mariani! 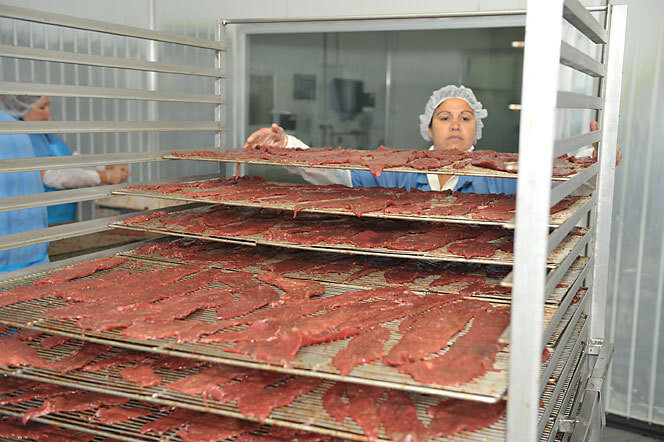 It’s quality. 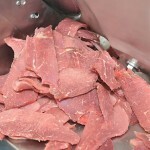 Prime quality beef ready to be cured. 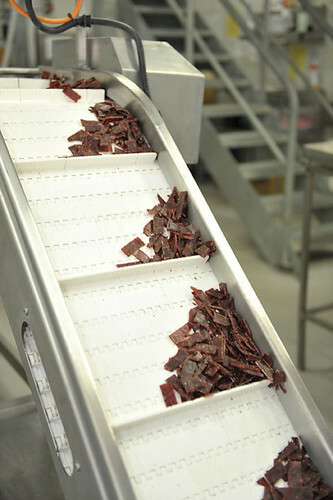 Portions fed to packaging carousel. One of our freezer facilities. 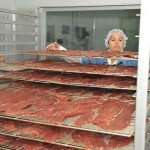 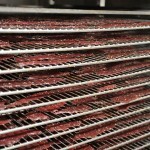 Freshly cooked jerky leaving the oven.